Coffee. Tea. Caffeine in all its forms is something most of us enjoy as part of a daily ritual. But in the height of summer heat, its enjoyment can be hampered. 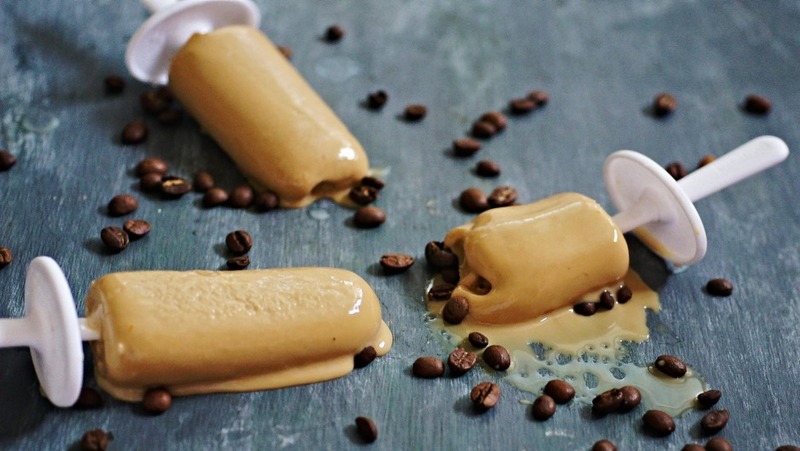 Hipster cold drip and the ye olde whipped cream topped iced coffee aside, here are three ways to enjoy your caffeine hit, ice cold. Tip for turning ice-creams out of moulds: run the mould under hot water for a few seconds, then gently pull out the pops. If they're stuck, put the mould under hot water a little longer. Combine all ingredients in a medium-sized saucepan. Place the saucepan over medium-low heat, whisking frequently, until a custard forms on a spoon and a finger swiped across the back leaves a clean line, you want a custard consistency and to ensure the yolks are cooked to 75C. Pour into moulds and place in the freezer for at least four hours, for best results, freeze overnight. Alternatively, pour into a freezer-proof bowl, cover tightly with plastic wrap and freeze until frozen, before scooping into waffle cones. In a large pot, add all ingredients except the teabags and sugar. Turn heat to medium-high and bring to a rolling boil. Add the tea bags and immediately remove from the heat and allow to steep for at least five minutes (if you like a stronger tea flavour, allow to cool completely before removing the teabags). Pour the mixture through a fine mesh sieve into a large bowl and stir through sugar to taste and until thoroughly dissolved. Pour the mixture into a shallow tray (this makes scraping it much easier), allow to cool then place in the freezer for at least three hours or until the edges are starting to freeze. Working quickly with a fork, scrape across the top of the mixture to make a grated ice. Return to the freezer and repeat this process two to three times, or until you can scrape ice flakes from the entire tray. 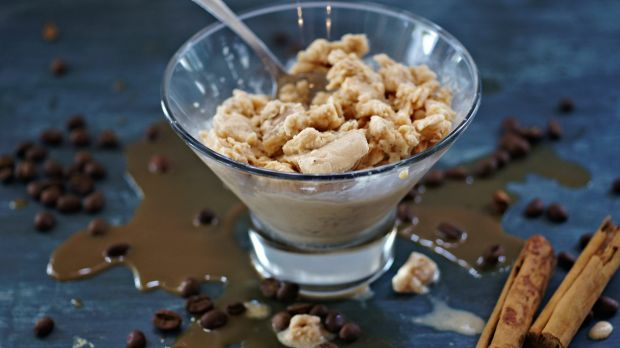 Spoon granita into individual cups and serve immediately. Add the cream and half the milk to a bowl. Stir through the icing sugar and set aside. Add the remaining half of the milk and espresso to a bowl and stir until thoroughly combined. Set aside. If the caramel is thick, warm it slightly in the microwave until you get a running/ribbon consistency. 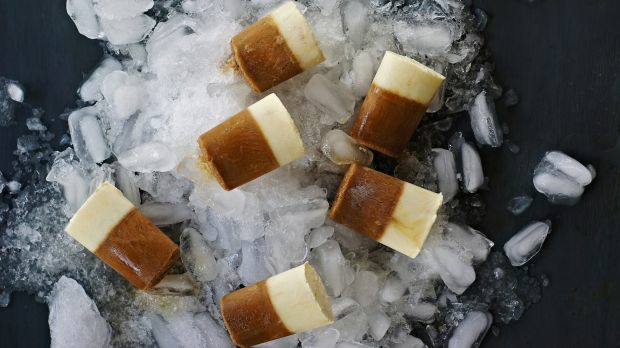 Pour two tablespoons of caramel into the base of each ice-cream mould and place in the freezer to harden for 20 minutes. It doesn't need to fully set, but should be firm enough so you can create layers. Pour over the espresso layer until moulds are two-thirds full. Return to the freezer until just set. Pour the cream mixture on the top and return to freezer overnight to freeze completely. When ready to serve, pull moulds from the freezer, turn out ice-creams (see tip above) and serve immediately.